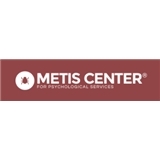 The Metis Center for Psychological Services (Erie) - Book Appointment Online! Specializing in providing outstanding psychological care in our communities, including both therapy and testing services. Yes, I will definitely go back. Very well educated. Definitely knows her stuff. Great listener.